Jamberry Nails consultant, Cindy Gentry, sent me a sheet of Jamberry Nail Wraps in Siesta (my choice) to test out and review. I don't wear nail polish on my hands, because I'm constantly working with my hands. I do have my toes painted...mostly because my husband loves toe nail polish. My daughter loves having her finger and toe nails painted. We have accumulated a large nail polish collection that we share. Alex was going to a party with my parents, so I chose to apply them to her nails for a fancy touch. She also spent the night with my parents, so I got the scoop on how the nail wraps held up to a party, shopping, gentle playing, and daily activities. 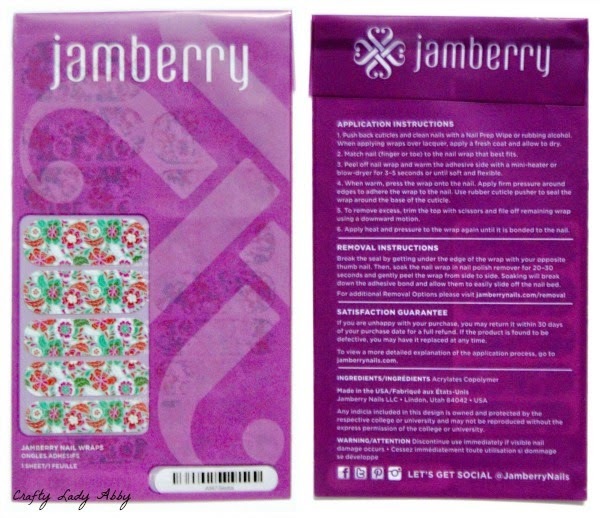 Here is what the packaging looks like for one sheet of Jamberry Nail Wraps. They come on a clear sheet, so you can hold them above your nails to choose the right size for your nails. The sheet is on the left. I took some close ups, so you could see the pattern, which is on the right. The nail wraps are longer than our nails are, so Alex only needed half a strip for each nail. To help with application, I watched this tutorial Cindy sent me. 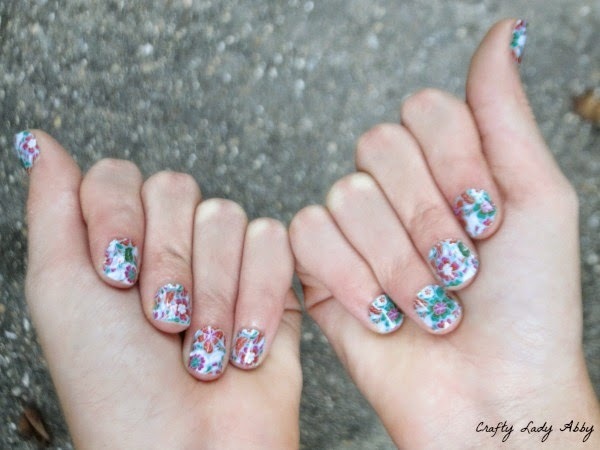 I used this tutorial to apply the nail wraps onto Alex's natural nails. I used a hair dryer, since the nail wraps can be heated with either the Jamberry heater or a hair dryer. This other tutorial shows an application variation that uses a plastic bag to help super heat the wrap for a better application. I love trying out new nail products. I've applied a lot of nail polish in my lifetime, but I have never done nail wraps. This was a learning experience. I found them tricky to apply, and that might have been because I'm new to applying them. It was a lot of work to try to get each nail wrap sized and shaped to fit Alex's nails. The filing was easier, but I did notice that it leaves a bit of nail exposed. Alex said she lost one nail wrap from washing her hands. She lost a couple others doing normal tasks...showering and changing clothing. I didn't get to test how long it took before all of them fell off, or if certain ones stayed better. By day 4, she had a school orientation to go to, so she remove them all. No one wants unkempt nails when meeting new people. All of them were curling or rippled around the edges by then. I might try this again in the future for a special event. Perhaps it was just because I've never applied them, that I had so much trouble. It took me about 30-45 minutes to finish her manicure. 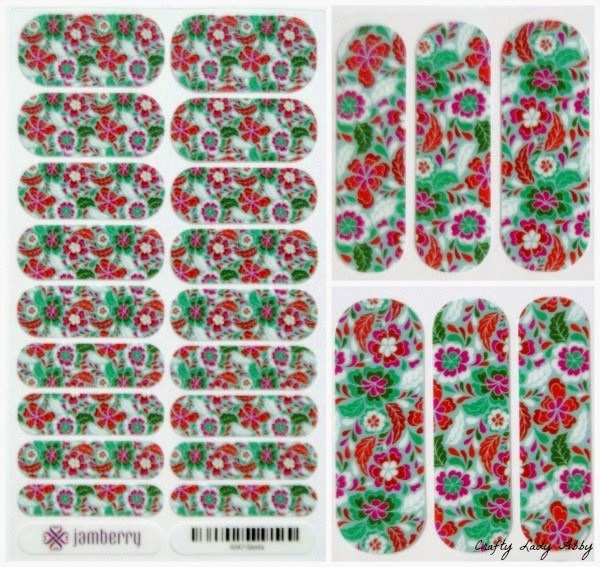 Jamberry Nail Wraps retail for $15 a set. You can get about 3-5 manicures from one set, depending on your nail length. 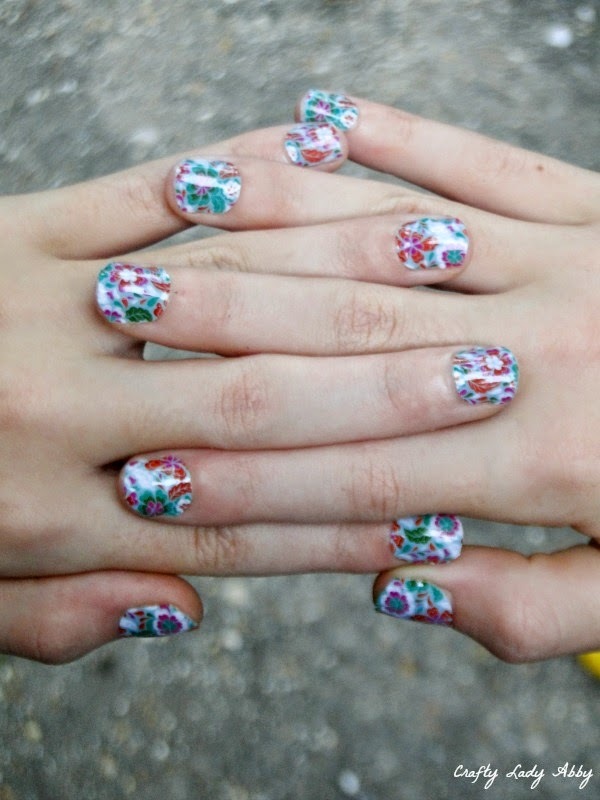 According to the company, the nail wraps should stay on for up to 10 days, which is longer than most nail polishes. There are a lot of beautiful designs available, so check out the Jamberry Nails website and Cindy's Jamberry Nails Facebook page for more info. DISCLOSURE: I was sent this pack of Jamberry Nail Wraps for the purpose of a review. All photos and opinions are my own.